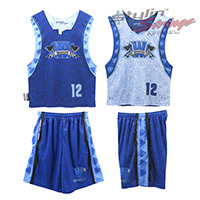 The Warriors sublimated lacrosse reversibles are based out of Williamsburg Virginia. We designed a custom W logo with two hatchets. 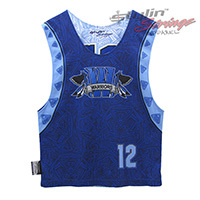 The pattern was fully custom in the background to give the design an authentic warrior feel. The back bottom has the word mark logo.